I’m such a proud mama today! 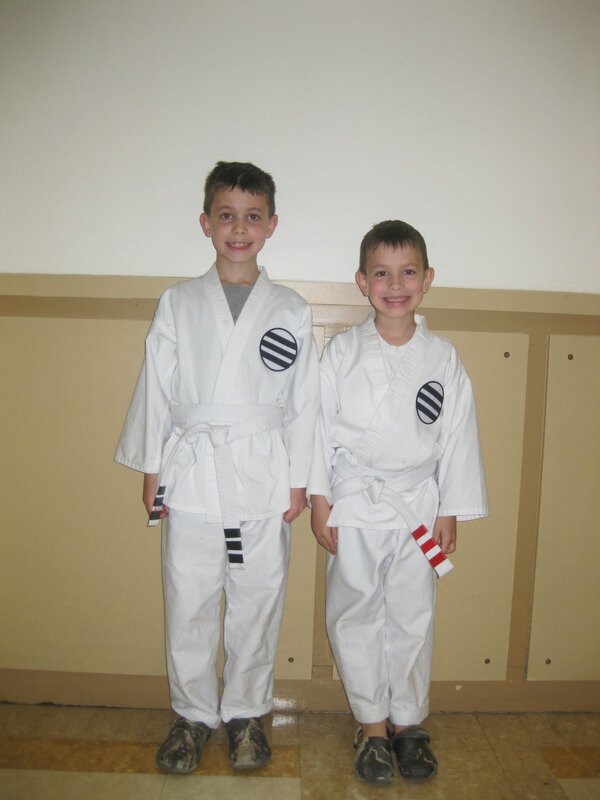 Both of my boys earned three stripes on their karate belts. This means they both did an excellent job in their testing. My oldest son got black stripes because he is 8. My second son received red stripes because he is in the 7 and under group. Those with black stripes need four stripes before the progress to the orange belt. Those with red stripes need six before they can earn an orange belt. The judges don’t give out stripes liberally so I was so happy that they both earned three in their first test.